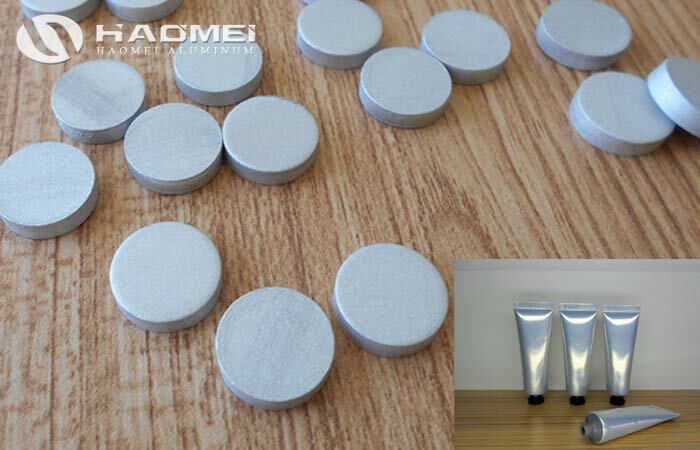 At present, with the improvement of living standards, people’s demand for cosmetics has also been raised to high grade, which puts forward higher requirements for the corresponding cosmetic packaging. Why are some cosmetics like hand cream packed with aluminum tubes? Is there any advantages? Will there be a chemical reaction between the aluminum tubes with the product? The answer is the hand cream won’t react with the aluminum tubes, the aluminum will not rusty, and using aluminum slug for hand cream tube for packing material, the cost is low. Because the aluminum is soft, so it is easy to be squeezed, the product quality is good, the packaging is very environmental protection. The hand cream aluminum tube is produced from aluminum slugs. There also have other application of aluminum slugs for cosmetic packing, for example the aluminum slug for toothpaste tube. The producing process of hand cream tube from aluminum ingot is: Billet heating, hot extrusion, sawing, cutting, turning, boring, material heating, two times extrusion, tension correction or roller straightening or roller straightening, cutting chuck, middle check, annealing, corrosion and skin curettage repair, cold rolling, annealing, stretching, quenching, quenching, whole diameter, finishing straightening, finished product sampling, artificial aging, finished product annealing and inspection, acceptance, painting oil, packing.